The ostrich is the largest living species of bird, and lays the largest egg. It can run at speeds of up to 45 MPH, stands up to 9 feet tall and weighs up to 300 pounds. 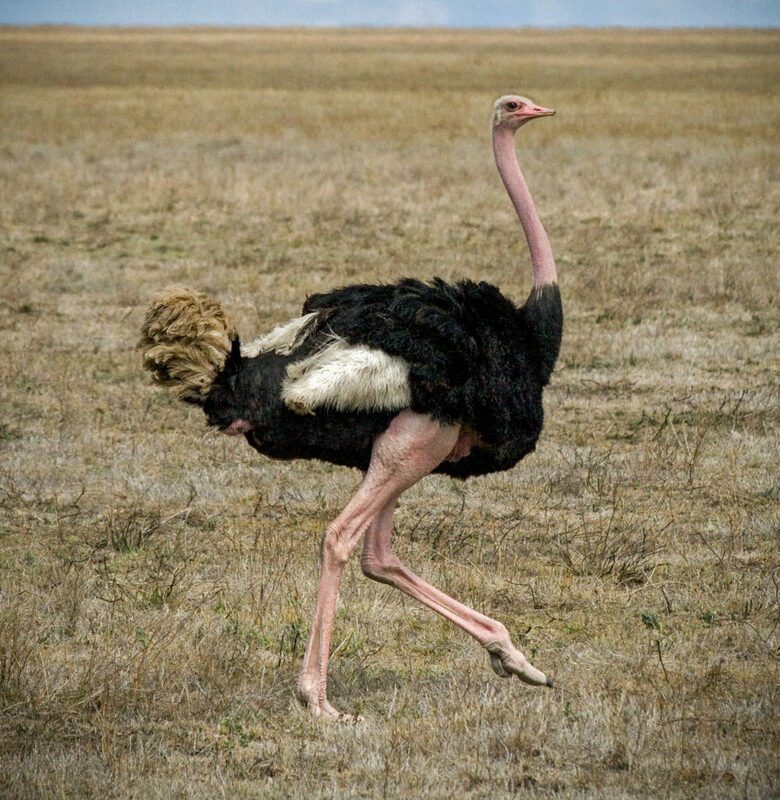 Ostriches have very powerful legs, able to inflict serious damage with a single kick. Ostriches have been farmed extensively in Africa and other areas around the world for their low fat meat, plumage and distinctively patterned leather. The ostrich differs from other ratites by having only 2 toes.